Now that most state and local redistricting efforts have come to a close, it's clear that this data has been central to our recent advocacy efforts. Two years ago, working within a tight timeframe, the Census Bureau released a new data product that made huge progress towards helping state and local governments avoid prison gerrymandering: the Advance Group Quarters Summary File. This data, which identified the census blocks that contain group quarters such as correctional facilities, was released early so that state and local redistricting bodies could choose to use this information to draw fair districts. Prepared an ESRI point shapefile and Google KML files with the entire database, and for the correctional blocks, included links to our database of annotations. Released a web version (google maps, and tables) of the correctional portions of the file. When Summary File 1 was available, developed a methodology to determine the race/ethnicity (9 combinations) of the correctional population in each block for all but 4 blocks and then made this data available online. 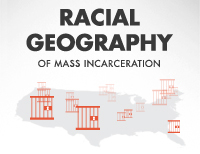 Reported the gender and age (<18, 18-65, 65+) of the correctional population for each block. Reported how the Census Bureau classified the correctional facility subtype for 99% of the blocks. Sent out a press release to our mailing list the same day the Bureau made the data available. We received immediate confirmation and thanks from a number of redistricting experts, particularly those who work with county and municipal governments. Sent out approximately 3,000 individual letters to most of the county commissioners and city councilors in the nation who have both a district form of government and a large prison in their jurisdiction. Letters sent out before the file was available described how and when to get the Advanced Group Quarters Summary File, and most letters sent out after the file was available included the specific block level data relevant to their community. 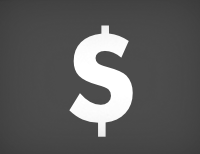 We also offered additional technical support on request. Despite our letter not asking for a response, we received a number of thank you calls. We also saw considerable traffic on our website related to the file. Had numerous conversations about using and interpreting the data, including to assist New York State with implementing their law against prison gerrymandering. As the Bureau expected, Maryland officials also found the data useful when they redistricted in accordance with their own law. By planning ahead to make the the Advance Group Quarters Summary File available, the Census Bureau took a big step forward towards ending prison gerrymandering at a time when it was too late to tabulate incarcerated people at their home addresses in the 2010 Census. Now, though, with the 2020 Census seven years away, the Census Bureau can plan ahead and develop the methodology needed to ensure that the next census counts incarcerated people in the right spot: at home. Shapefiles and online databases make it even easier to use the Census Bureau’s group quarters data in the redistricting process. Advocates and governments eagerly await data that will help identify prison populations and avoid prison-based gerrymandering. Census Bureau released the Advance Group Quarters data, and our free tools make it easy to use to identify prison populations in redistricting data. 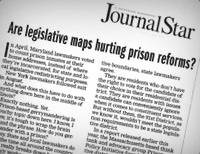 Are legislative maps hurting prison reforms? Pam Adams explains how in her downstate Illinois column.